Total width (end to end): 53 1/2"
Length (including coins): 9 1/2"-10"
Great print, just like the pic and a very sturdy belt, no beads or coins fling off this one! Hold together well. This is the perfect find. 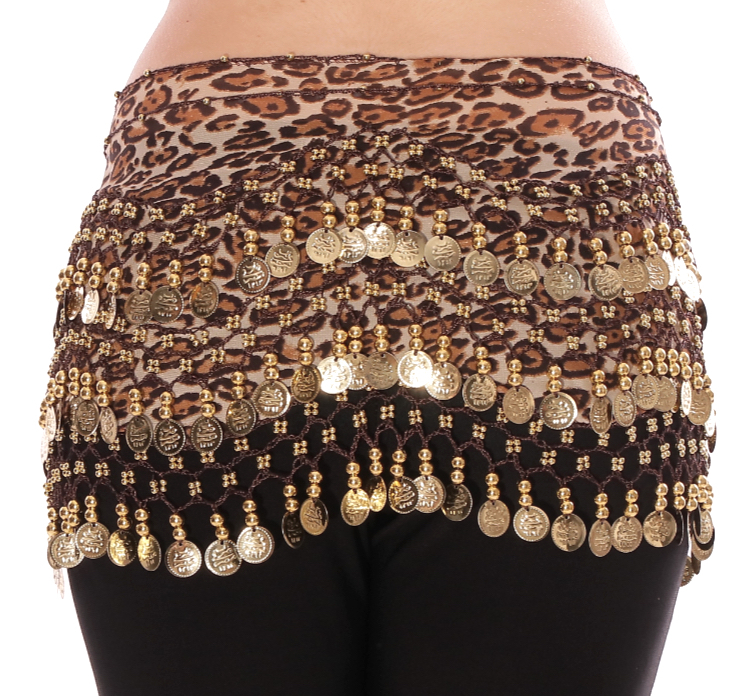 Was looking for an egyptian belt for recital and didnt have time to make one plus so expensive. Found this leopard hip scarf it's perfect. I did add more sparkley material to it,but really beautiful as is. The coins are not obnoxiously loud so I can also wear it to practice. like it very much, my friend like it also so Order her one she love's it. Q: When will this scarf be available with the silver coins?